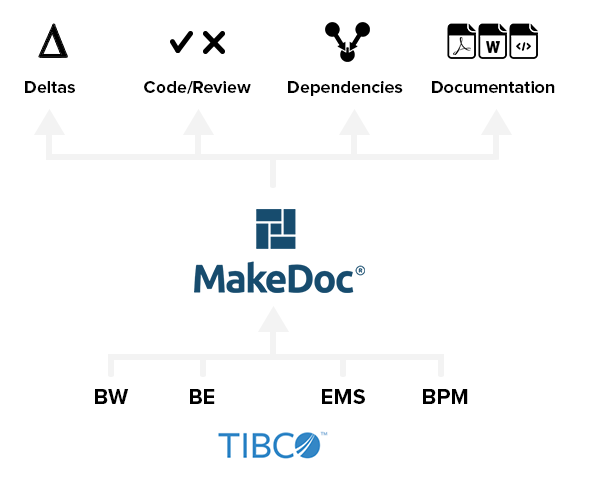 MakeDoc® provides automatic code review and analysis of TIBCO projects. 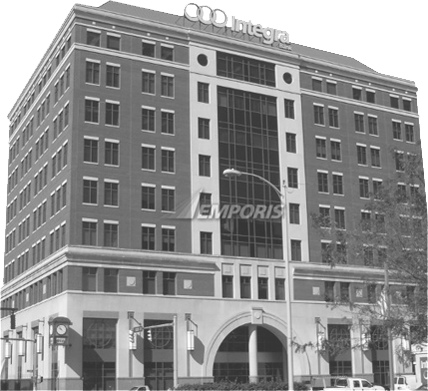 With the click of a button, the Product technically documents a company's actual ActiveMatrix BusinessWorks®, BusinessEvents®, EMS server and iProcess® projects and deployments. Based on this analysis, MakeDoc® enforces an automatic code review, highlights the differences in TIBCO production environments or developments over time, and displays dependencies graphically across an unlimited number of TIBCO projects. MakeDoc® for TIBCO provides static, real-time, automatically generated visual documentation and technical analysis, such as: Code Review, Cross-Reference, and Delta’s, of TIBCO Enterprise Message Service™, BusinessWorks™, BusinessEvents® and iProcess® projects in HTML, PDF, and WORD formats. MakeDoc® for TIBCO can increase Your IT department’s productivity, decrease time required for business requirement implementations, increase a productions system‘s uptime, and allow IT department’s to provide accurate, technical level feedback to their management. It’s hard to constantly monitor Your TIBCO Implementation’s technical detail…MakeDoc® for TIBCO Does It for You! So use MakeDoc® for TIBCO to leverage your TIBCO infrastructure to a new level of efficiency.